Like news but better. 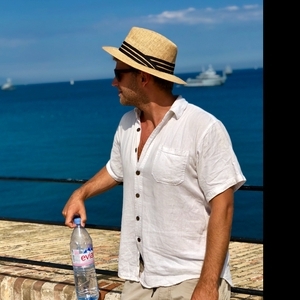 Award nominated writer Kale Brock, who's credits also include Filmmaker (The Gut Movie, 2017) & TV Presenter (Network Ten, BCM), shares the latest news in the health space with special guests from all over the globe. Filmed & recorded in studio in Sydney, Australia, Brock's sharp analysis & quick, self-deprecating wit will shift your perspective faster than a magnesium oxide bowel flush. Sitting loosely in the 'Fitness & Nutrition" category, The Roast will analyse society & culture in a way that's as refreshing as a cucumber enema (enough colon references?). Change the way kids eat. A short episode today sharing with you my thoughts on how Mandy Microbe could be the saviour our kids need when it comes to their health & wellbeing. Facts tell. Stories tell. Kids don't want to learn about gut health. They want to hear a good story. By creating a story which helps them develop a tangible relationship with the microbes who call them home we can absolutely empower them to make intelligent dietary choices. When families work together, the outcomes are far more positive. See you in the New Year! Thank you so much for tuning in this year - its been an interesting one. Keep up to date with me on youtube.com/kalesbroccoli or on Instagram @kalesbroccoli - love ya! Why Aren't Kids Healthy Anymore? David Wolfe on Children's Health. I caught up with David Wolfe to shoot my new documentary about children's health. We had a great conversation, in fact it was a reunion of sorts because I interviewed David a long time ago whilst working for a TV Network. You get the full interview here on the podcast, the polished version will be included in the documentary, Australia's Childhood Health Crisis, which airs for FREE on my youtube channel @kalesbroccoli (subscribe now so you don't miss out) on December 9th, 7pm AEST. David's logical and intuitive wisdom is a breathe of fresh air. I love how, even though we take different approaches to health, he shares love for the world and everybody in it and is super passionate (& cognisant) of affecting change with a positive light. If you enjoy this convo, please consider sharing it with friends, and don't forget to subscribe to my youtube channel @kalesbroccoli so you don't miss Australia's Childhood Health Crisis, airing on December 9th, 7pm AEST. 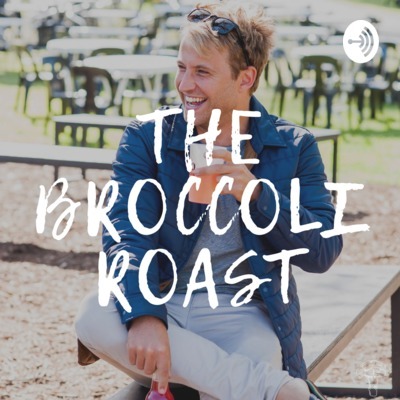 On this episode of The Broccoli Roast I'm joined by nutritionist, author & speaker Steph Lowe (@thenaturalnutritionist). We sit down for a chit chat about the more stupid of the extreme health trends in the industry right now and discuss the idea of extremism in health. I do find it quite strange that people are rushing to align themselves with extreme diets as if these provide a foundation upon which to build their identity. Yo - you are so much more than what you eat. Steph is a straight shooter. I like that about her. She's also pregnant. And this conversation surrounding birth and birth plan and the freaking amazing feat of one human growing another all feature in this lovely conversation. Remember to subscribe to the channel to support the show and join me on Instagram @kalesbroccoli. Loads of cool stuff coming up (talked about in the show!). Don't agree with any sentiments I shared in the show? You might be surprised to know that I don't really care. On this ep of The Broccoli Roast Jay G and I sit back and chat about what we've been up to lately. We chat relationships and I bravely share a word of advice on the topic (don't listen to me, pls). We also chat about getting sick, what does it mean, how should we handle it etc etc. We'd love to hear from you. Let us know what else you'd like to see/hear on the show. To stay up to date in between podcasts please join me on Instagram @kalesbroccoli - Jay is off IG at the moment so sorry :( Remember we've got Mandy Microbe's Big Gut Adventure coming out soon (kalebrock.com.au/mandy) and a new short documentary in a few weeks. Chat soon, K.
In this episode of The Broccoli Roast I sit down, alone, to muse on the current philosophies really helping me stay mentally healthy right now as I transition to a different project! Being in the creative space, the film space, you're moving in ebbs and flows. Nothing is steady, and nothing is concrete. To have any chance of longevity in this space, you need to develop a strong mental fortitude that allows you to flow effortless between fast and slow paced work. Stoicism has helped me a lot here, as have some other philosophies which I'll share with you in this episode. I didn't have any notes for this episode, but it comes straight from the heart :) See you soon! Next episode we may have a new co-host FYI !! How exciting. Support the show by pre-ordering Mandy Microbe's Big Gut Adventure kalebrock.com.au/mandy Or come hand out with me in person at The Gut Summit kalebrock.com.au/gutsummit Or simply follow me on socials @kalesbroccoli Hope to see you soon!! Kale. Today we’re talking about feminism. I had planned to write something interesting here before you watch this chit chat with my good friend Dr. Andrea Huddleston, but honestly, I’m too scared to. I’m worried that if I get something wrong, if I say something insensitive or offend a listener, I’ll have the wrath of the internet brought down upon me in a wave of the extreme left. There you go, I said it I guess. Sometimes, feminism goes too far and is extreme. I feel like this is the case in recent times when the actions of a very, very small portion of the male population become a stand post upon which an argument is made that all men are bad and somehow inherently sexist. I thoroughly disagree with that and I’m almost offended by that. Enjoy this discussion with @drandrea & myself @kalesbroccoli & be sure to check out NiceLife.com.au - the gut health store bringing Australians the best gut health products from around the world. The Future Of Food... Crickets & Insects? On this episode I sat with Olivia Kaplan (@livinbondi) a nutritionist & content creator from Bondi Beach in Sydney. We chatted about everything from studies demonstrating how wholefoods can reverse depression, probiotics & their impact on stressed out mice, social media and it's concurrent rise in alignment with mental health issues & more. Gut health is a really important factor when it comes to staying mentally well. I've curated my favourite probiotics on my online store so that you can access them, too. Grab them on Nice Life, The Gut Health Store's website| nicelife.com.au | - you can enjoy $10 off (or free shipping) on your first order with us by entering the discount code BROCCOLIROAST For any more info from the show head to kalebrock.com.au/reallyinteresting Don't forget to follow me on socials @kalesbroccoli & also connect with Olivia @livinbondi Enjoy! What the hell is The Broccoli Roast? In this introductory episode of my new show, I give you the run down on what to expect in regards to formatting, level of weirdness, your interaction, how to listen in, where to watch and more. Don't forget to subscribe on your preferred platform so you don't miss any of the upcoming eps... including: - Study shows your devices may cause you to go blind w' Aaron from Baxter Blue - The most sustainable, gut healthy, affordable food ever w' Dr. Pia Winberg - Depression is caused by inflammation w' nutritionist Liv Kaplan - Exercise & gut health (new study) w' Steph The Natural Nutritionist - Crossfit makes you fat & tired w' Nic Laidlaw from Balanced Studio - Important news updates & more Guys, if you can do me one huge favour I will be forever grateful (i already am). Please share this with your friends. I really want this to be the number one online chit chat show, brought to you in a completely different tone than the norm.